How did an 8TB external hard drive get a discount this deep? Cloud storage and backup solutions are incredibly convenient, but they’re also a roll of the dice. You’re putting the security of your private data in the hands of some third-party company that’s probably a constant target for hackers. The only way to ensure the security of your files is to store them locally, offline, and today’s Amazon sale gives you the perfect opportunity to do just that. 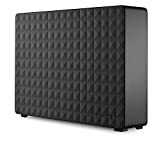 Amazon has a massive discount available right now on the Seagate Expansion 8TB Desktop External Hard Drive, which is $90 off for a limited time. 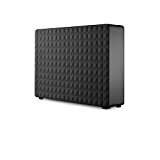 If you don’t need quite that much space, there’s also a 3TB version on sale for just $79.99.